The Battle of Albert began on September 25, 1914 as part of the Race to the Sea during World War I. It directly followed the First Battle of the Marne and the First Battle of the Aisne as progress toward advancing the trench lines to the sea continued. The French Tenth Army began to assemble at Amiens from mid-September and on September 25 began to push eastwards. 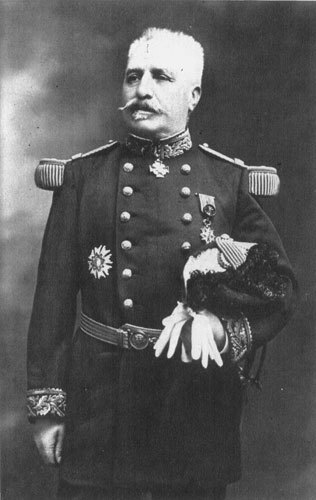 De Castelnau, under the command of Joffre, launched a frontal attack on the German lines near Albert after attempts to stretch the line northward failed. De Castelnau was met with immediate resistance and counterattack as the German Sixth Army had reached Bapaume on September 26 and advanced to Thiepval on the 27th, in the midst of what was to become the Somme battlefield of 1916. The German aim was to drive westward to the English Channel, seizing the industrial and agricultural regions of Northern France, cutting off the supply route of the British Expeditionary Force (BEF) and isolating Belgium. 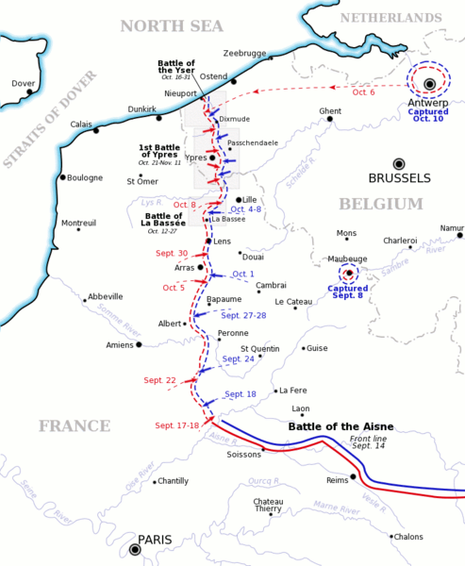 Neither side was able to make any decisive ground and the battle around Albert ended around September 29 as the fighting moved northwards towards Arras and Lille and into West Flanders. This confrontation and those to follow were deemed draws as the fighting settled into prolonged trench warfare. The battle of Albert, 25-29 September 1914, was part of the Race to the Sea. It was a clash between the French Second Army (de Castelnau) and the German Sixth (Crown Prince Rupprecht), towards the end of the wider first battle of Picardy (22-26 September). That battle ended on 26 September with a day that saw fighting along the entire front from the Oise to the Somme (just south of Albert). The Germans had made limited progress, capturing Noyon and Lassigny on the previous day and were making a determined effort to capture Roye, further to the south.